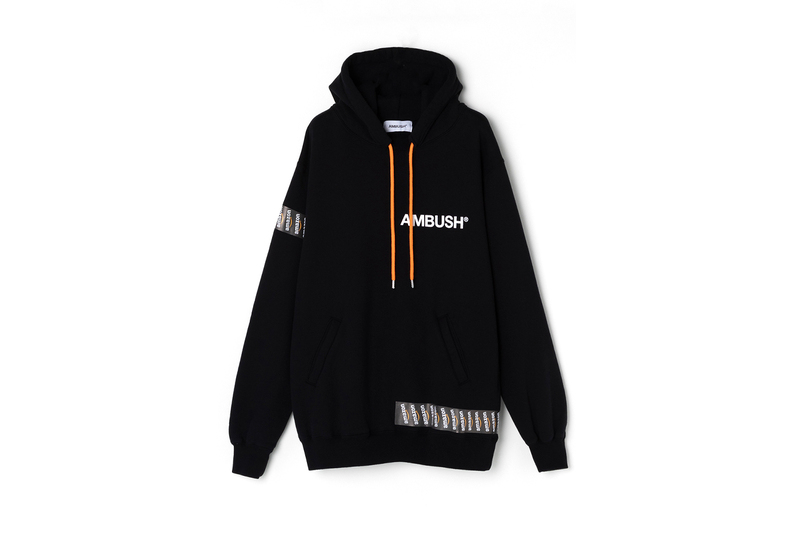 Continuing its unique relationship, Amazon and AMBUSH® are set to open a pop-up store in Tokyo for an upcoming branding-focused collection. Part of the growing Amazon Fashion push, the special range is a continuation of the Amazon Fashion “AT TOKYO” project which featured AMBUSH®’s first ever runway show. Looking beyond established garment codes, Verbal and Yoon put together a capsule of casual clothing centered around distinct branding. Amazon’s signature packaging serves as a major inspiration as the co-branded T-shirts and hoodies display a print based on packing tape. Check out the Amazon Fashion x AMBUSH® capsule above and look for the items to be available at the AMBUSH® WORKSHOP pop-up and amazon.co.jp/ATTOKYO until November 15.